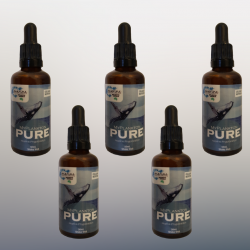 Plankton for Pets – Its Here! Home » Blog » Plankton for Pets – Its Here! 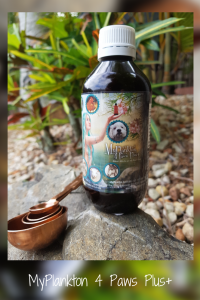 MyPlankton Australia is very pleased to announce the launch of our new Plankton for Pets – phytoplankton wholefood product designed specifically for our beloved pets. 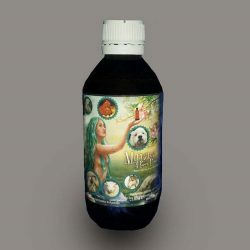 ‘MyPlankton™ 4 Paws Plus+’ – a nutritional super-antioxidant wholefood – containing Australian Marine Phytoplankton, our oceans very own ‘SUPERfood!’ Marine Phytoplankton is identified as the basis of the ocean food chain, embracing nutrition as Mother Nature intended. 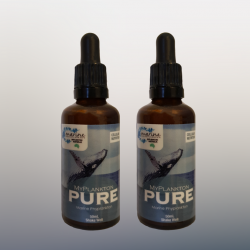 Added to our Marine Phytoplankton for Pets is Liquid Seaweed which is ideal for dairy, cattle, horses, calves, sheep, goats, deer, pigs, poultry, dogs and cats. Scientifically and historically, seaweed is one of nature’s most mineral-rich plants. 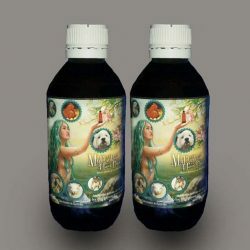 The added Rose Hip brings a very powerful punch of beneficial components including vitamin C, A, E, and vitamin B-complex, as well as minerals like calcium, iron, selenium, manganese, magnesium and our final ingredient included is micro distilled Aloe Vera proven to be very beneficial in helping conditions of the digestive system, particularly where inflammation is involved. 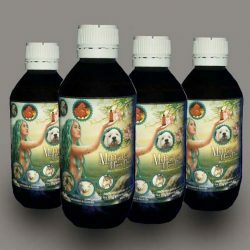 ‘MyPlankton™ 4 Paws Plus+’ has been carefully formulated, focusing on the general health and wellbeing of most animals supporting their entire body, overall health and longevity including – gut health – mobility/joint health – improved cellular function (healthier organs) – decreased inflammation – digestion support – manage skin issues and allergies – increased energy – decreased hyperactivity – decreased anxiety – detoxification. 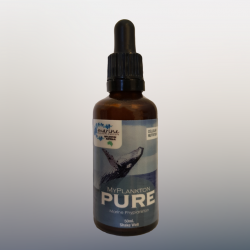 Size available 200 mL – provides approx 26 weeks supply for 1 animal 10kg or under when given as directed.